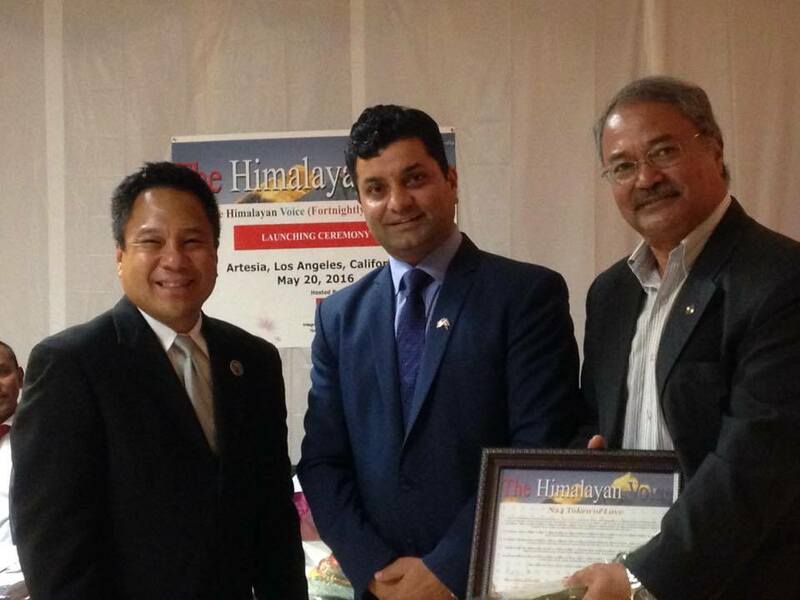 LOS ANGELES: The Himalayan Voice, the first English language newspaper published by Nepali community in the United States was launched amid a function in Los Angeles on Friday. Unveiling the first edition, chief guest, Mayor of city of Artesia Victor Manalo admired the effort of the publication and explained that it was a significant work towards the assimilation of Nepali community in the mainstream American activities. The Himalayan voice Launch“Our city is a home to the diverse communities from around the world and this is strength for the city, Nepali community coming up with an English newspaper for Asian society is yet another milestone in our social spectrum,” he noted. Mayor Pro Tem of the city Ali Sajjad Taj, an American with south Asian origin also congratulated the publication team. The fortnightly newspaper is a sister publication of news portal www.nepal24hours.com, that has been covering south Asian world from United States for last five years. 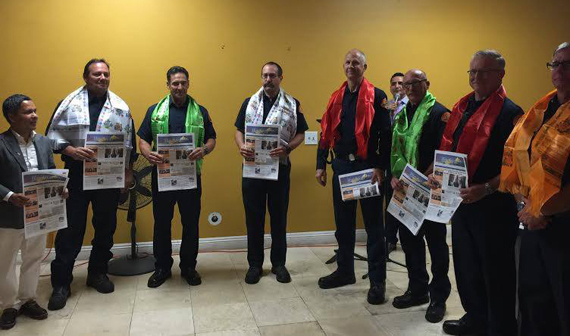 Special guest of the occasion, Battalion Chief of Los Angeles County Fire Department also congratulated wished for the success of the publication and its team. The department played a significant role during the rescue operation following the massive earthquake in Nepal last year. 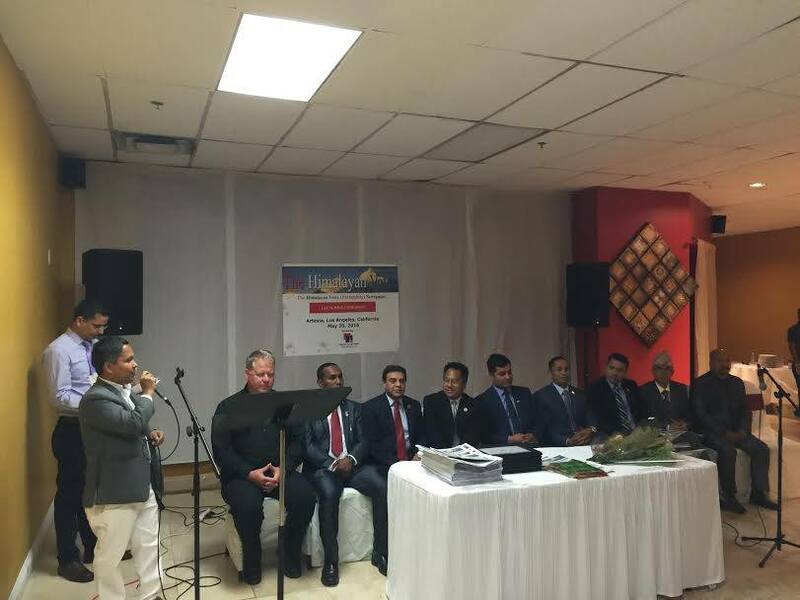 Honorary Consulate of Nepal for United States Rishi Dhakal, Professors Khagendra Luintel and Jeet Joshi as well as International Nepal Literature Society America chapter president Padam Bishwakarma were among other distinguished members of Nepali society present on the occasion. 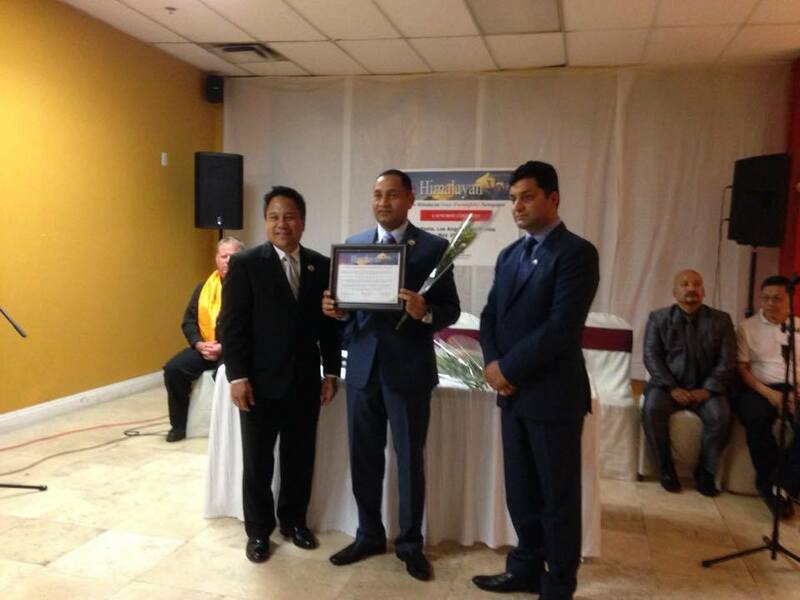 Nepal 24 hours .Inc, the parent company of the publication honored Dr. Jeet Joshi, Dr. Sambhu Dhungana and Mr. Rajendra Siwakoti with N24 Token of Love for their longtime contribution to the welfare of Nepali society in the US. The program, moderated by editorial team member Rameshwor Bhandari was presided by The Himalayan Voice editor-in-Chief purushottam Dhakal.